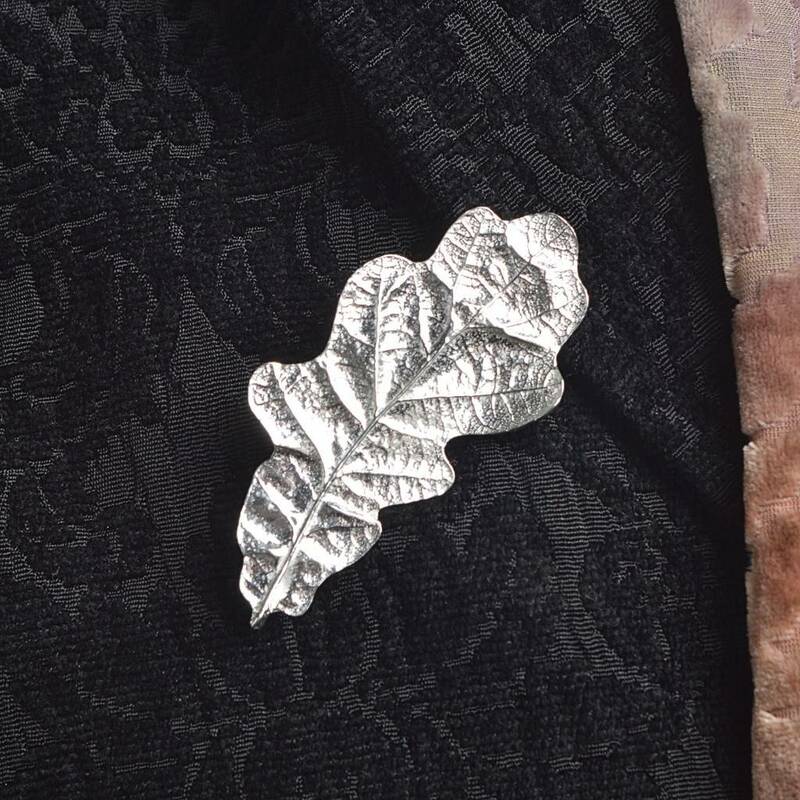 An elegant and beautifully detailed and textured Oak leaf brooch. This stylish pewter brooch is guaranteed to make heads turn. A perfect gift for eco-warriors and a great present for tree lovers. The Oak tree is the national tree of England. 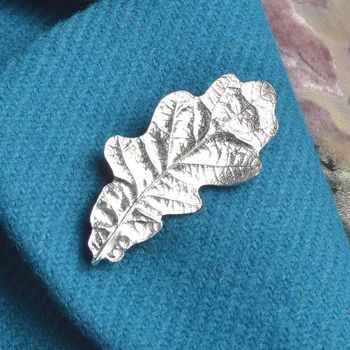 Mighty and steadfast, the Oak is a symbol of stability, honour and endurance. 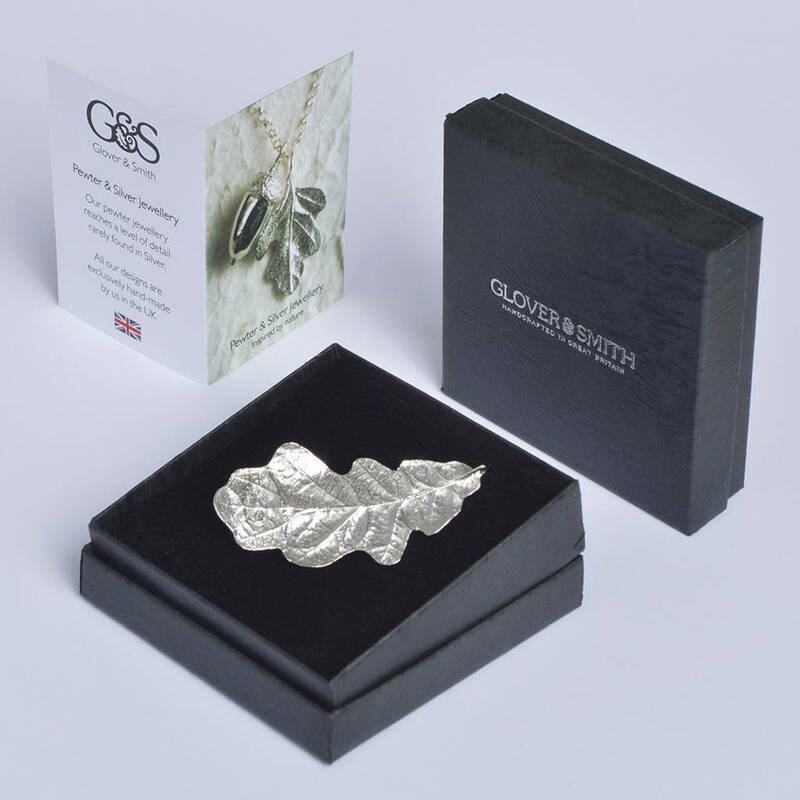 This brooch is from our leaf jewellery range made by Glover and Smith in Wiltshire. 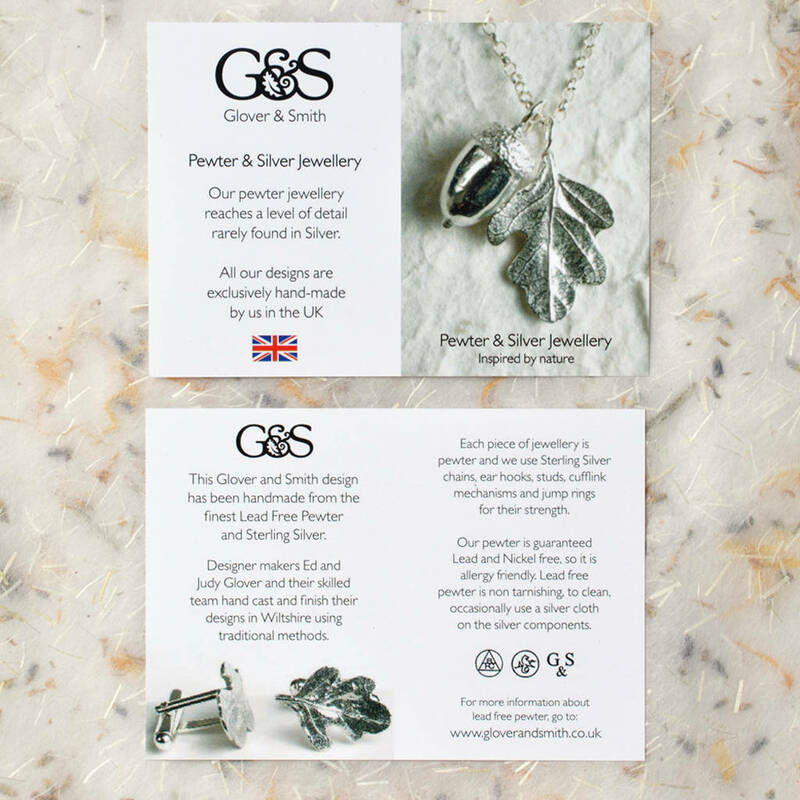 All Glover and Smith designs are made from solid polished lead free pewter which is non-tarnishing (that was the lead). Using solid metal means the surface of your Oak leaf brooch will never flake or rust, just wash with warm soapy water. All our designs are made exclusively by us in Wiltshire.